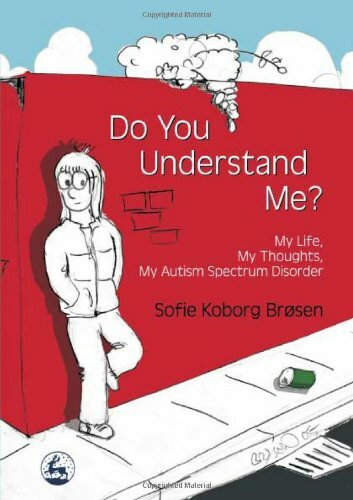 The author, Sofie Koborg Brosen (eleven years old at the time she wrote book,) has autism spectrum disorder. Sofie describes her day-to-day life and tells readers about things she finds difficult: being given too many instructions, disruptions to her routine, being teased, strong lights and smells and too much noise. She also tells about what she really likes. Resource may help children understand their classmates with autism spectrum disorders.